This weekend’s Splatfest isn’t just about deciding the better condiment (hint: it’s the red one), but it’s also prime time to farm up a big store of ability chunks for your competitive wardrobe. Once you’ve taken a side in the great Mayo v. Ketchup conflict in this month’s Splatoon 2 Splatfest, you receive a blank shirt with three open slots for abilities, ready for you to level up and trick out. As it happens, local clothes vendor Murch is running a deal—from now until the end of the Splatfest on Aug. 5, he’ll scrub that tee clean for 2000 coins instead of the normal price of 20,000. Splatoon gear isn’t just about how fresh you look, but what abilities your outfit gives you. From handy ink-saving perks to quick respawn and special power-ups, having decked-out clothing gets you ahead of a squid with clothes right off the rack. Scrubbing for chunks lets you build up a cache of perks that will let you tailor any piece of clothing to your loadout’s needs—no more compromising style for usability. Reddit user jrec15 did some math on the scrubbing, and found that the most time-effective method is to constantly scrub your Splatfest tee. Though this leaves you wearing a shirt that’s scrubbed of any useful perks, it’s easy enough to burn through a few games of Turf War and hop back out to bank some more. It’s definitely cost-effective to scrub as soon as possible, but if you don’t want to hop in and out of the lobbies constantly, I’ve found saving up for the two-chunk scrub is still as effective for farming. This is also a great time to burn some drink tickets, which increase your experience gain and also raise the chances that you might get a certain ability on your gear’s next level-up. Be aware of brand loyalty too—the Splatfest tee has its own brand of Squid Force, meaning its more common to receive Ink Resistance Up and Ink Saver (Main) as abilities. The Splatfest shirt only sticks around for a little while, as it gets reclaimed from your inventory at the event’s end. 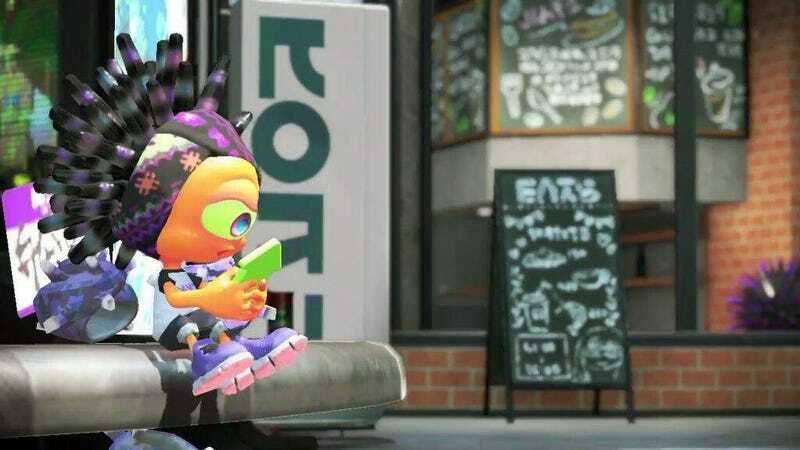 If you’re trying to build up a great jacket full of ink-saver and special-up for your Aerospray, or swim speed and ink resistance for Dualies, now’s the time to burn some tickets, become a regular at Murch’s nook, and start scrubbing some tees.